I am declaring today. I am declaring with my mouth, “Lord split the Red Sea in my life!” I believe the Bible is our blueprint for living. I believe that what is shared in the Bible is the living, breath of God, there to show us the way through the circumstances of our life. I believe “Jesus Christ is the same yesterday, today and forever.” Heb 13:8. I believe God answers the cry of our hearts. I believe the Lord desires us to ask and then not to doubt. I am asking today. 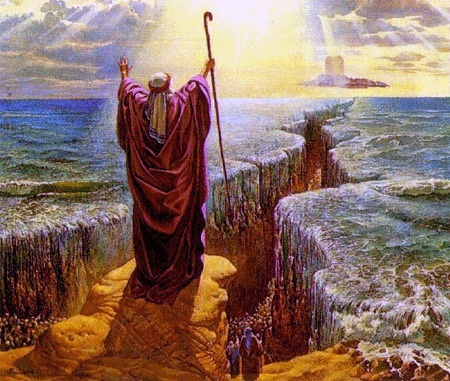 Lord, I’m standing on this side of the Red Sea of my life, facing the impossibilities. I know you want what I’m asking because it lines up with Your Word. So today I’m declaring the sea to part while I cannot yet see the miracle of Your love. Come Lord Jesus!